U.K. Apple device owners have meanwhile gained the option of Monzo, an internet-only bank in which accounts are managed mainly through mobile apps. 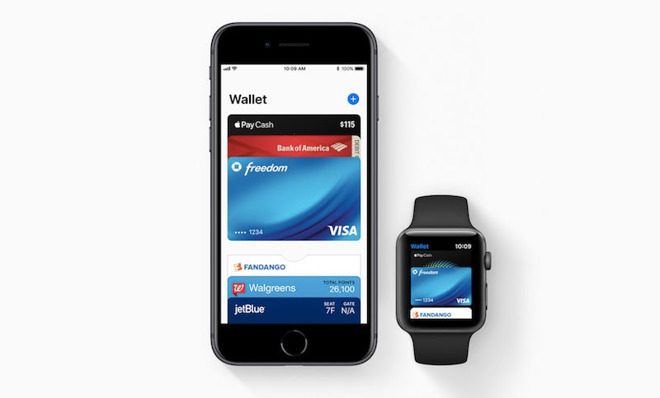 At the moment Apple Pay transactions will generate two push notifications — one from the Wallet app, and another from Monzo's own. Apple recently met with Metrolinx — the agency responsible for integration of Presto fare technology in Toronto, Canada — in what may be a sign residents will soon be able to use Apple Pay for public transit, the Toronto Star said. Relatively few cities offer Apple Pay on their metro systems, some other examples being London, Tokyo, and Chicago.